Now I can’ stop using it.Â So, while watching animals at the Turtle Back Zoo, I decided to paint a couple of the feathered sort. 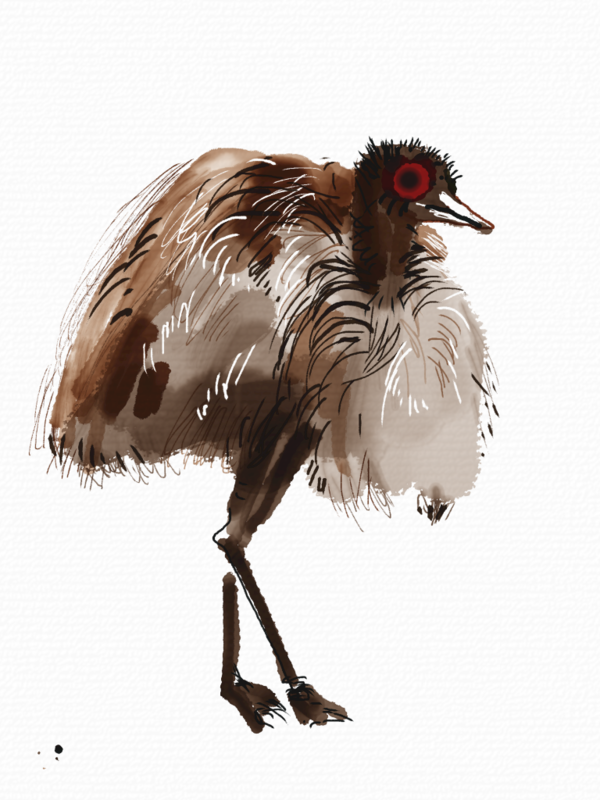 I cant help but draw this animal (and the ostrich) in a comical way. They really are goofy looking! 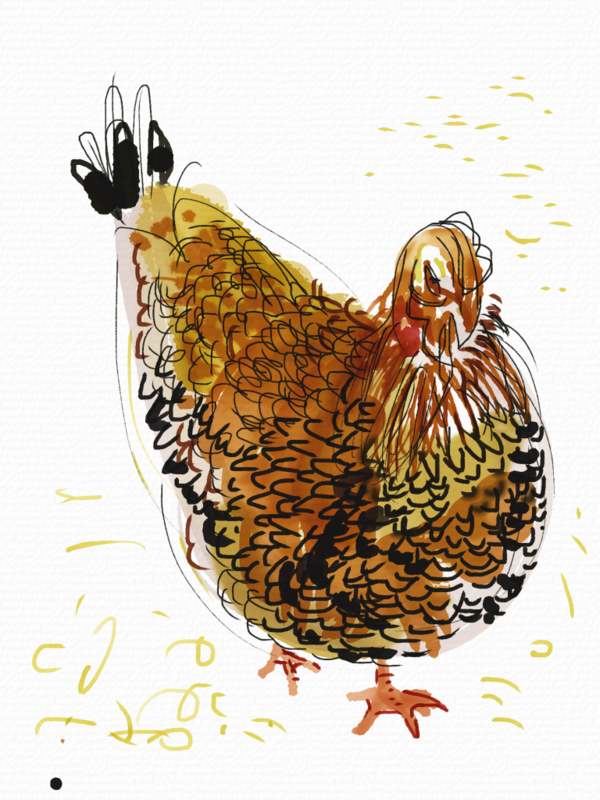 And these chickens are the best to draw because of their pattern!